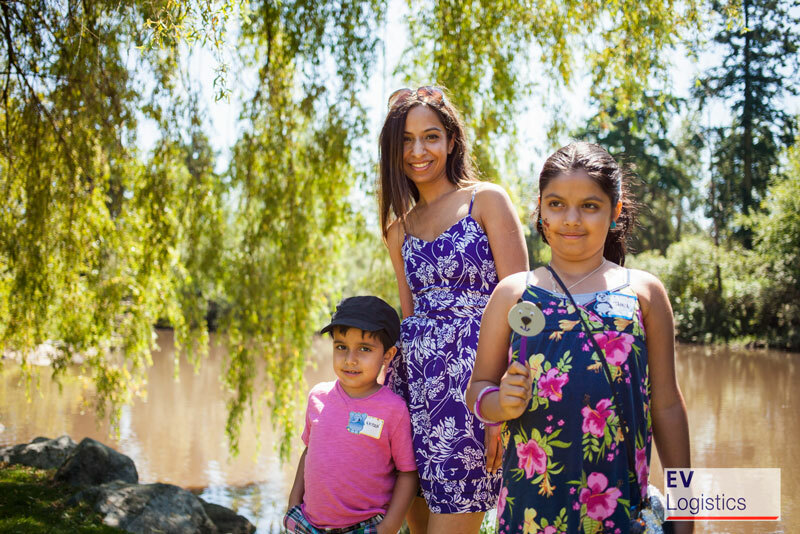 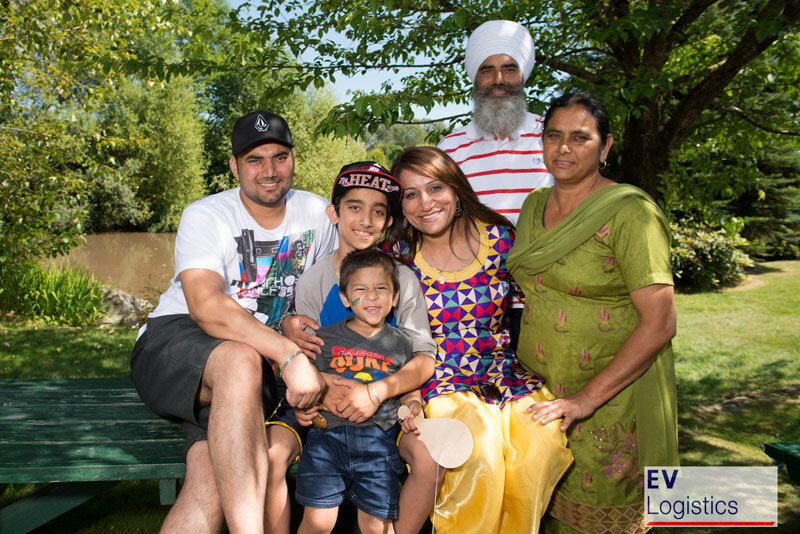 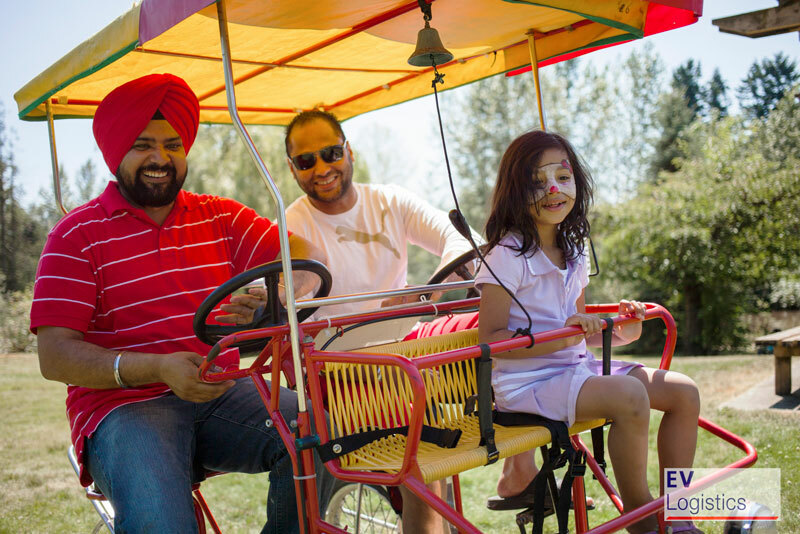 We believe in fostering a work life balance for our employees and their families. 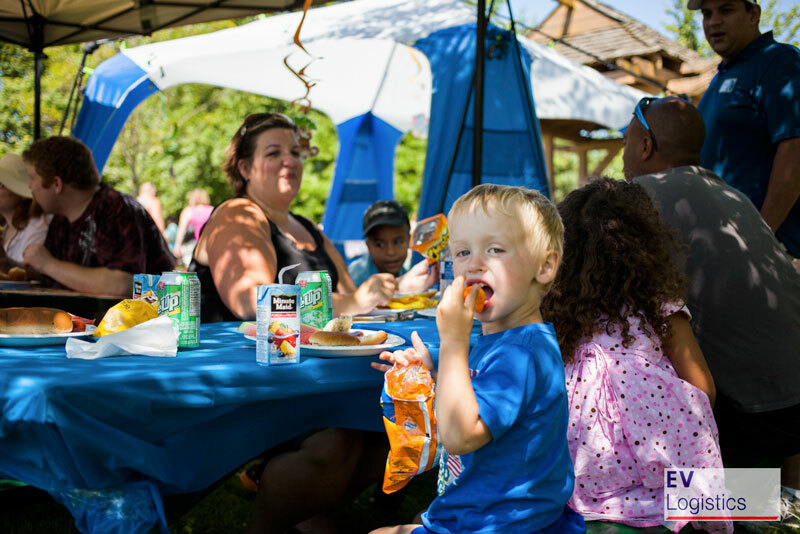 We understand that community begins at home and we know it’s important to celebrate the families who are represented by our employees. 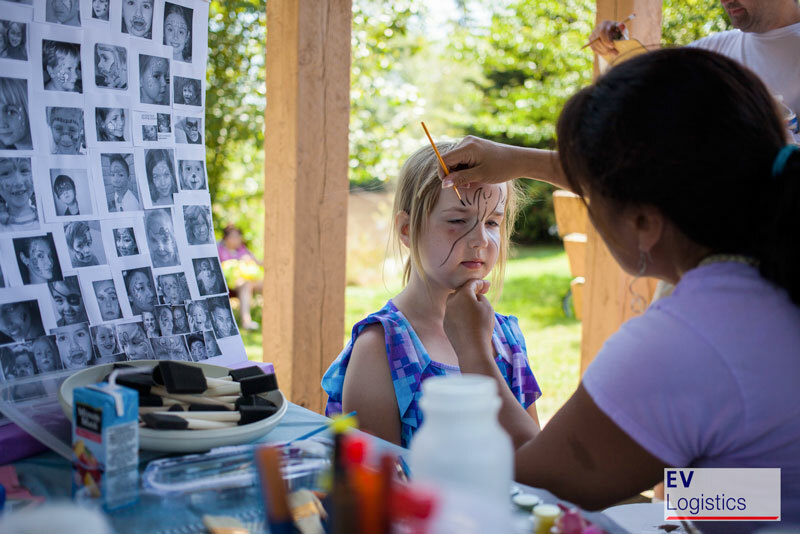 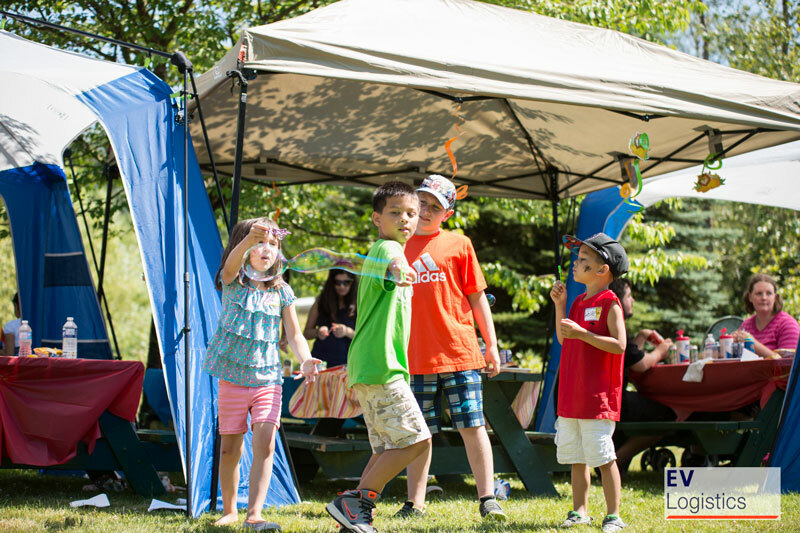 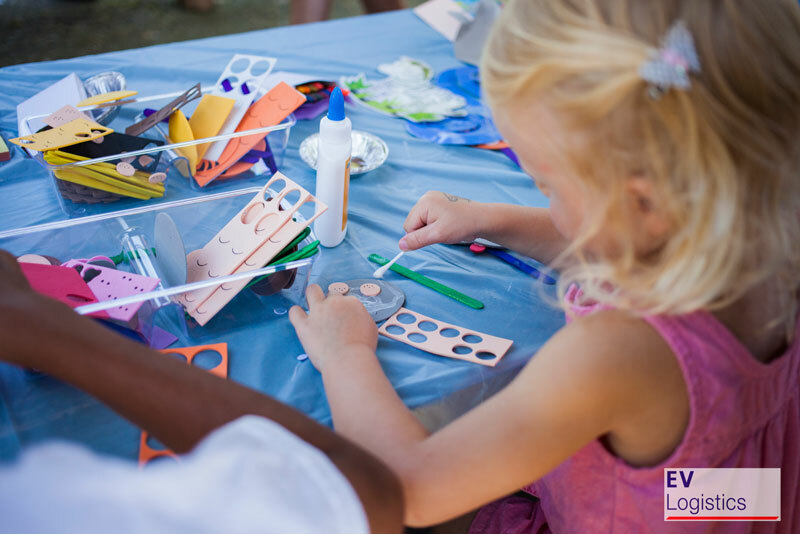 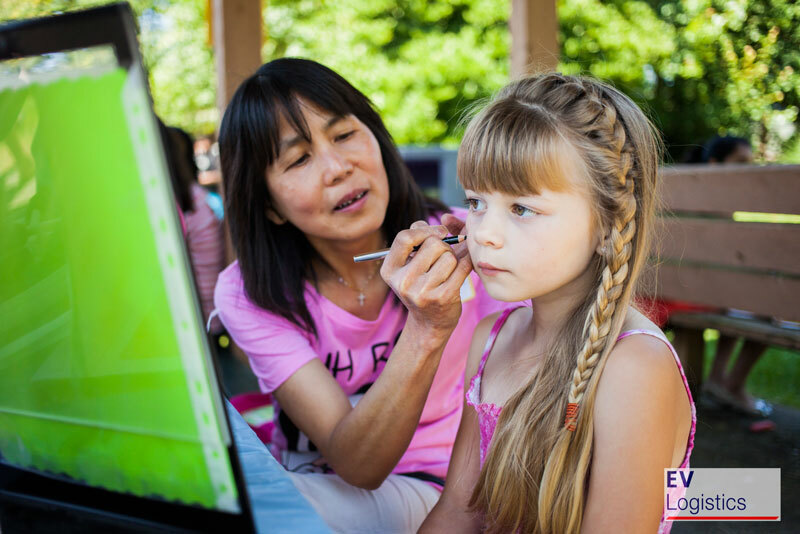 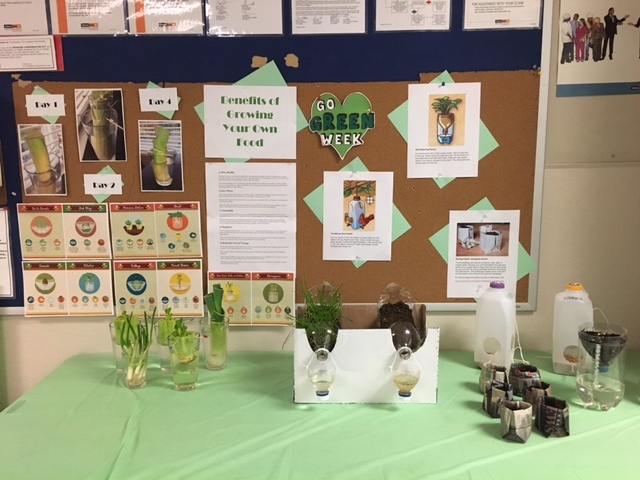 Each year we have several events so our employees and their families can take part in fun with the team and feel connected to our team. 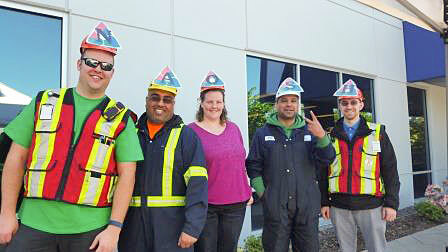 Each year in May is safety awareness month! 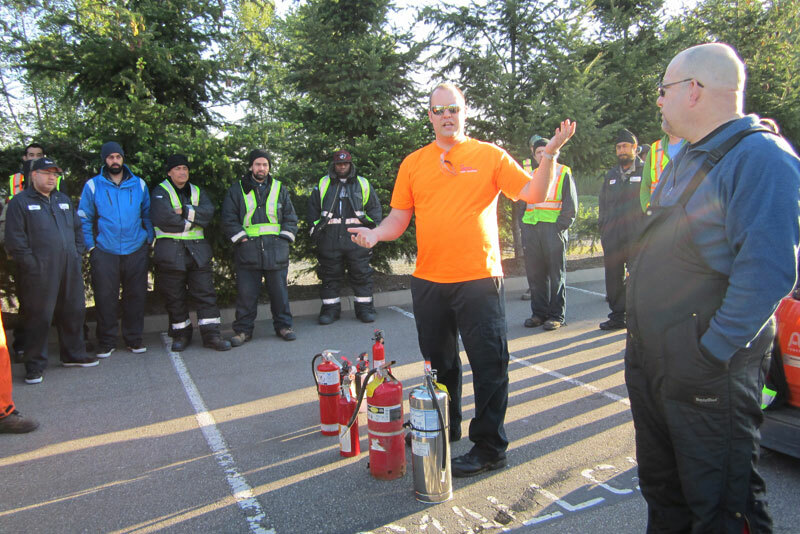 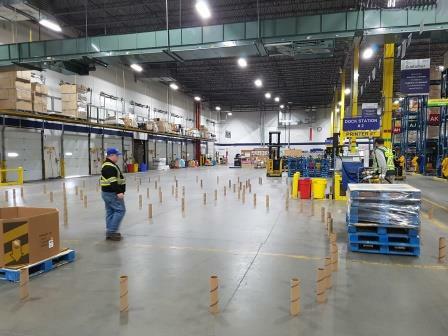 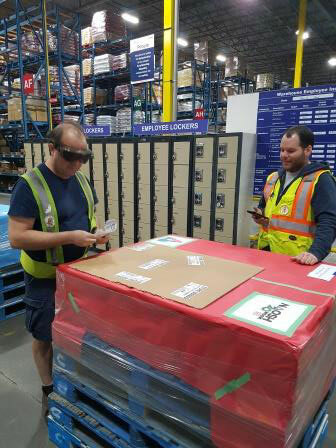 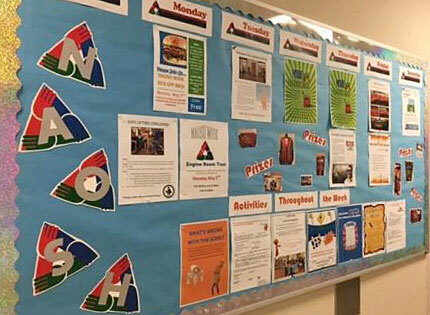 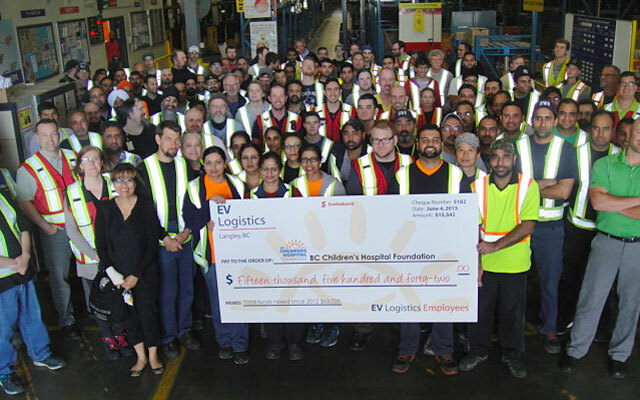 EV Logistics and our leadership team work hard to create interactive activities and educational opportunities for everyone to enjoy and to reinforce our mantra of making safety a habit. 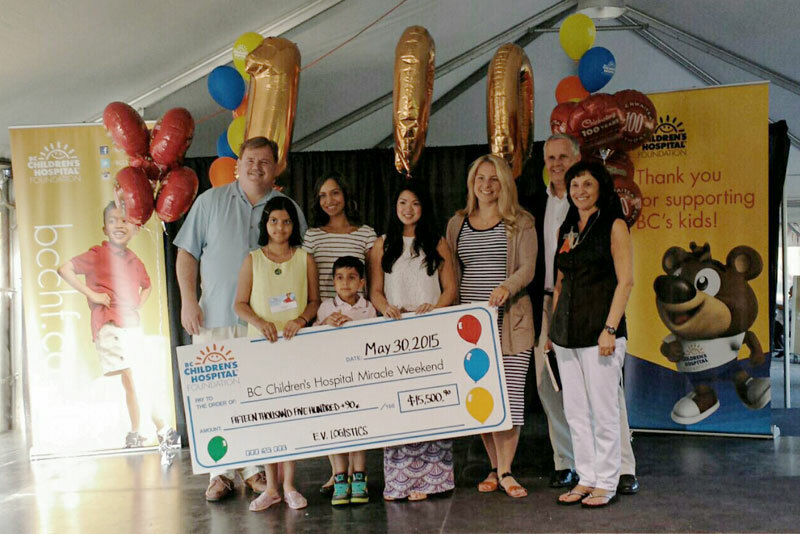 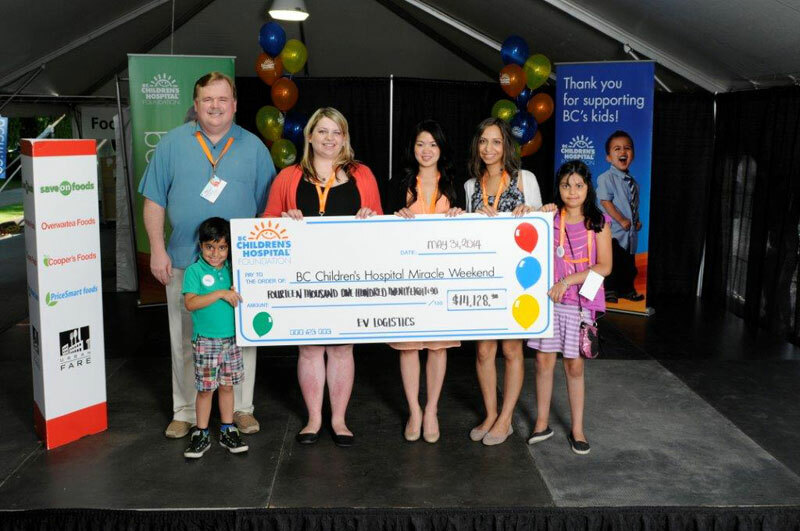 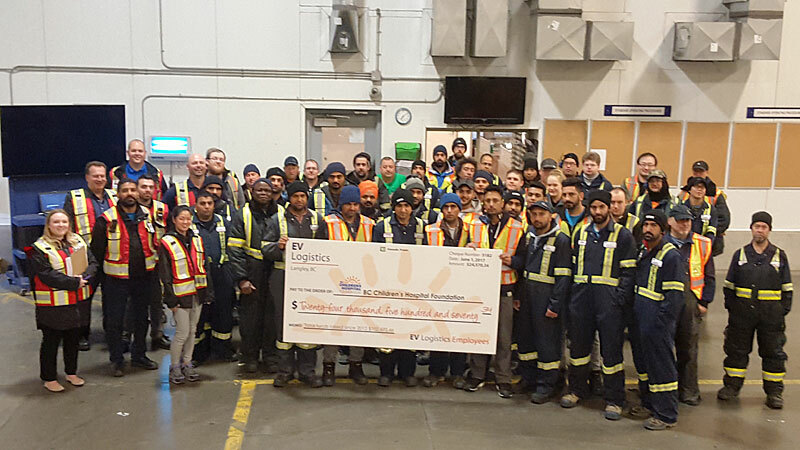 Through many different initiatives and activities such as monthly bingo, BBQs, silent auctions and 50/50 draws, our team has contributed just over $100,000.00 to this valuable cause and continues to strive to beat this target year after year. 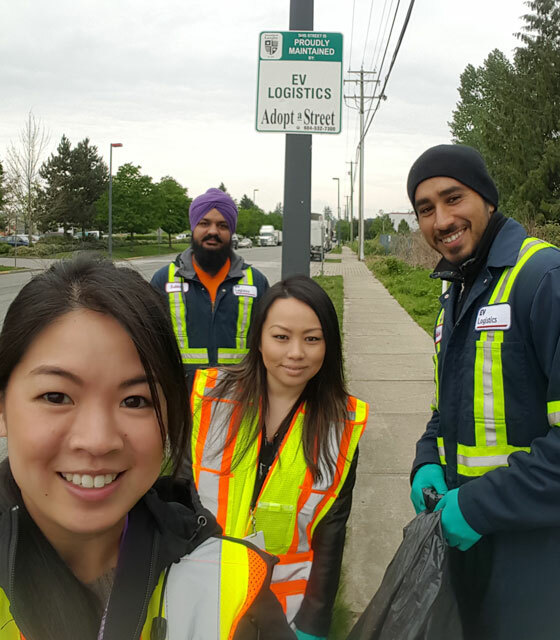 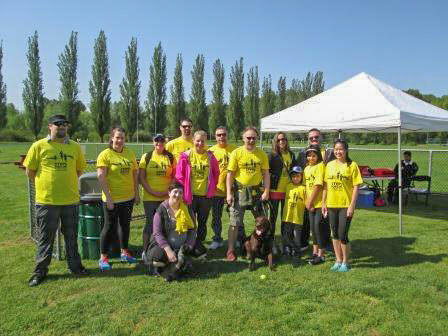 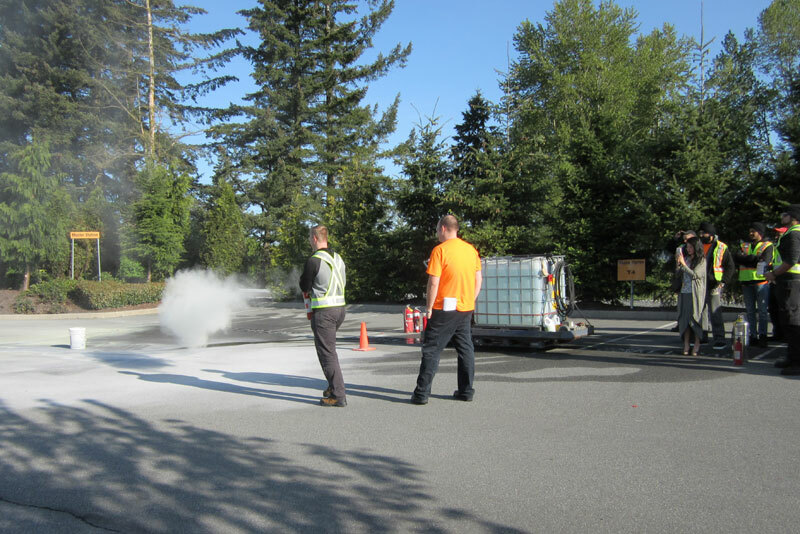 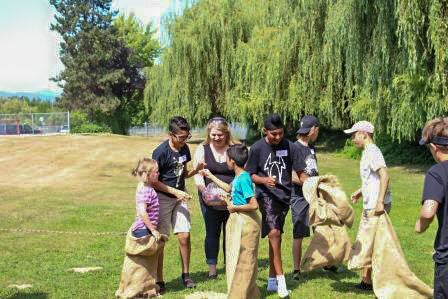 EV Logistics participated in township of Langley’s annual community clean up in 2017. 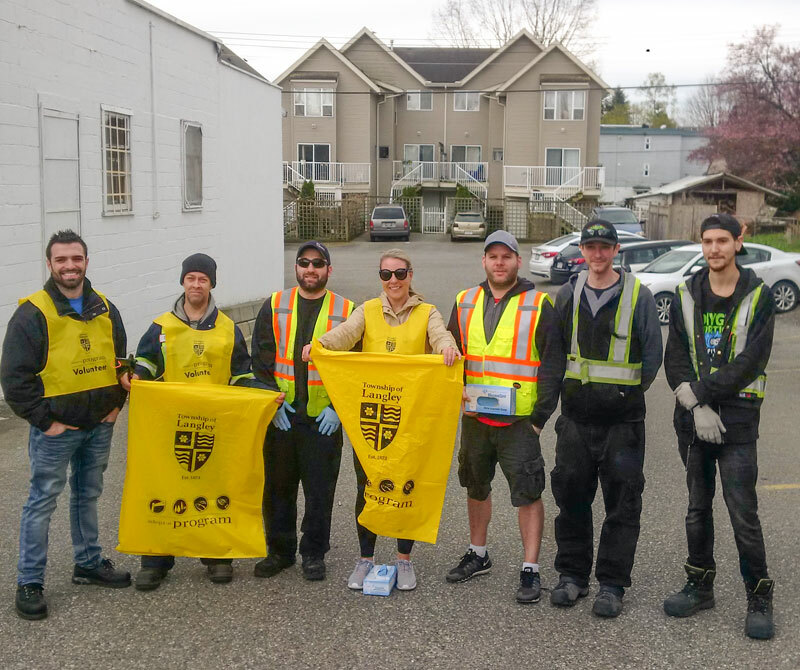 Overall, groups collected 1505 kg (3311 lbs) of litter, this was an increase of 702 kg compared to 2016! 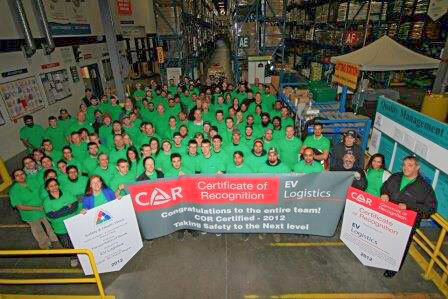 Year after year EV Logistics finds new ways to commit to being green. 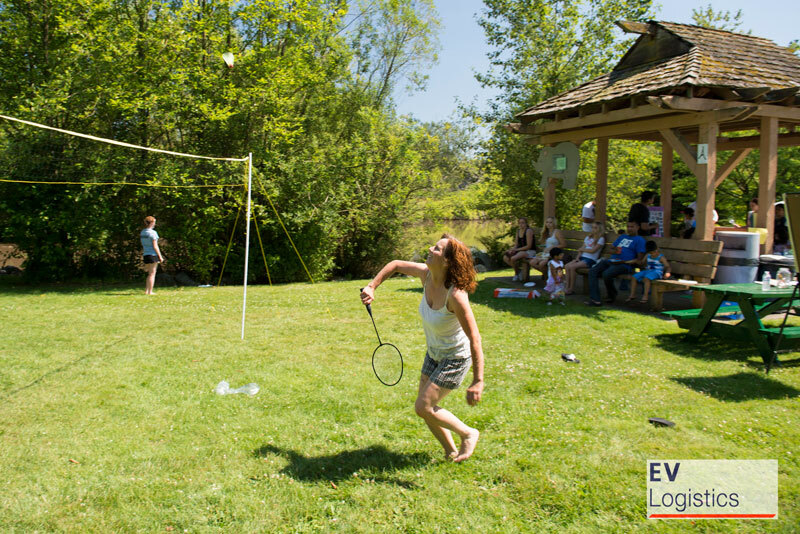 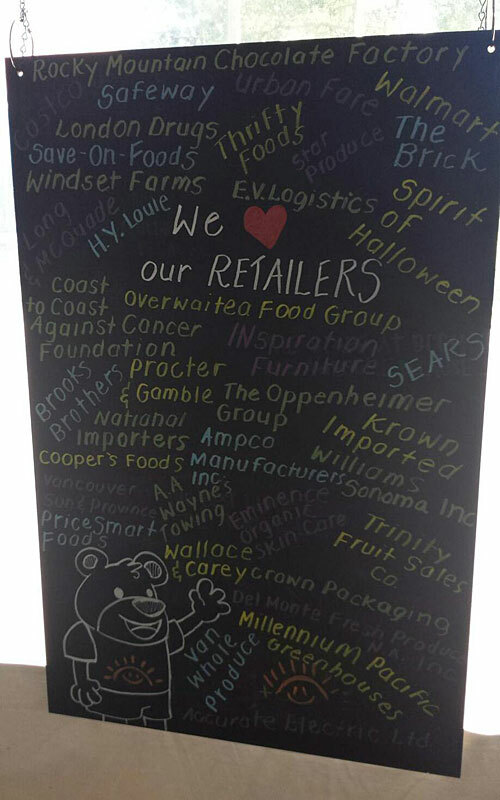 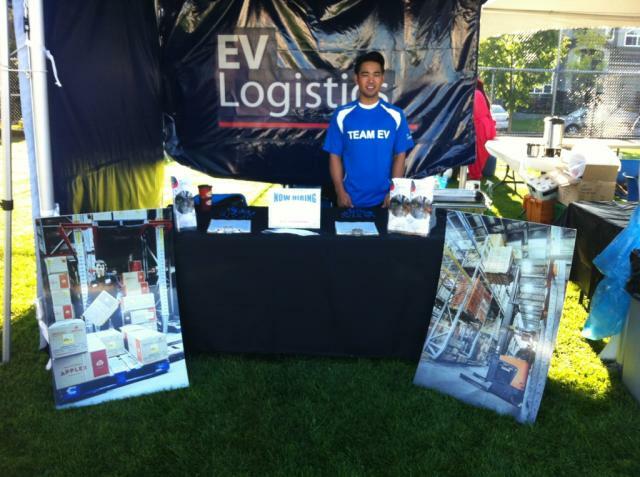 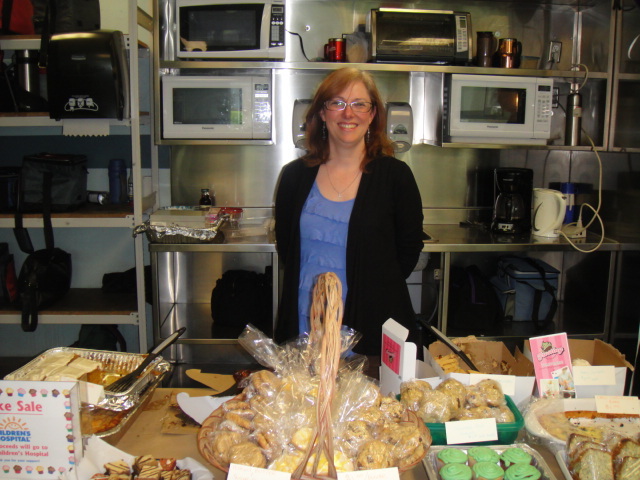 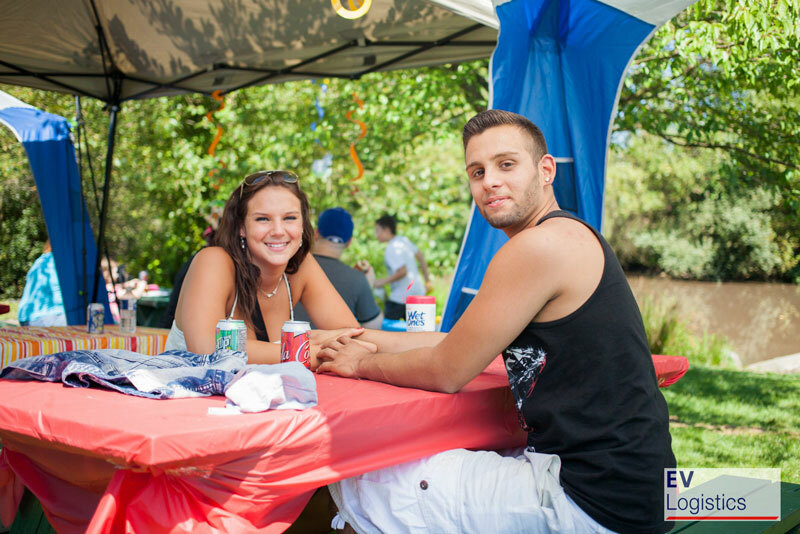 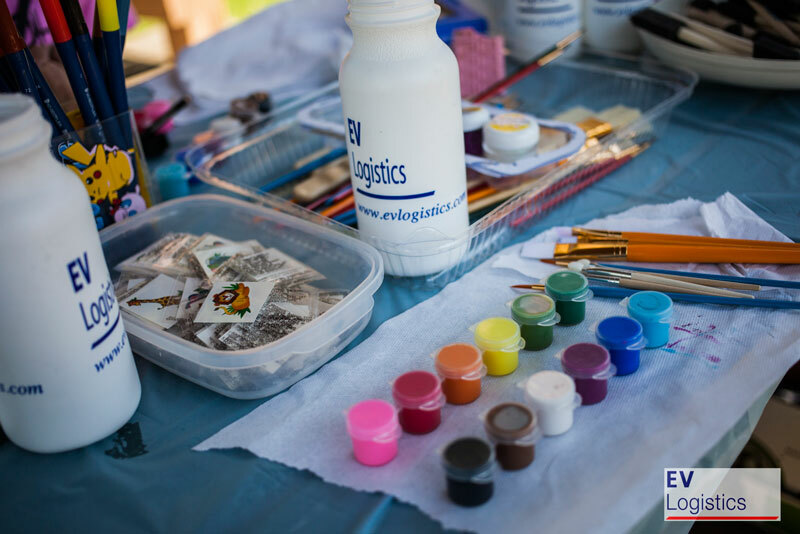 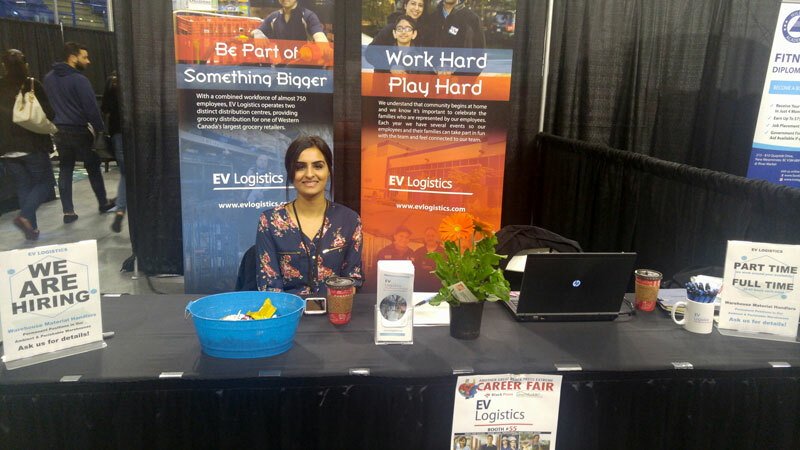 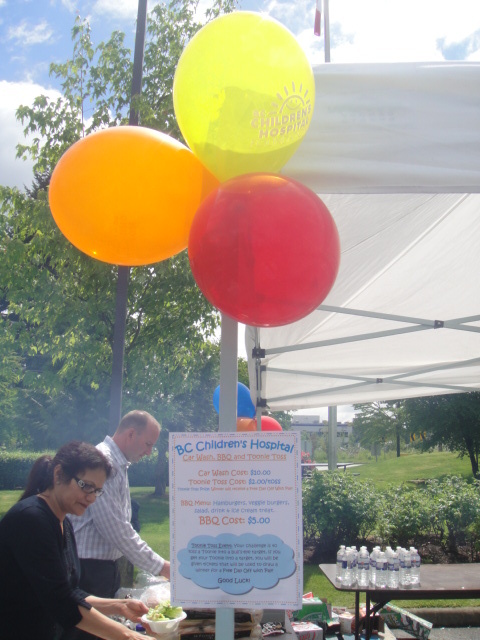 EV Logistics participates in a number of community events throughout the year. 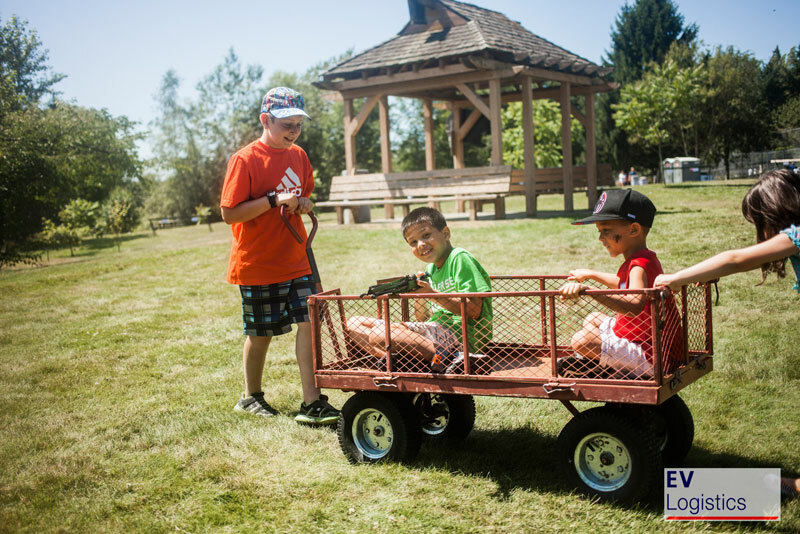 Some of our annual favourites include the Abbotsford Airshow and Aldergrove Fair Days. 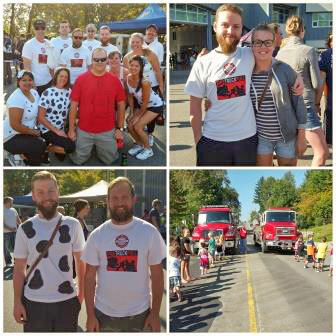 Other events we have participated in over the years include the Mission Fire Fighters’ Truck Pull and Abbotsford Sikh Parade. 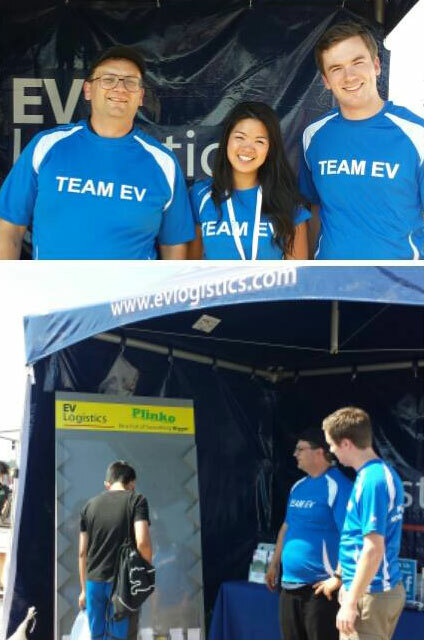 At EV Logistics we know our people help create our success. 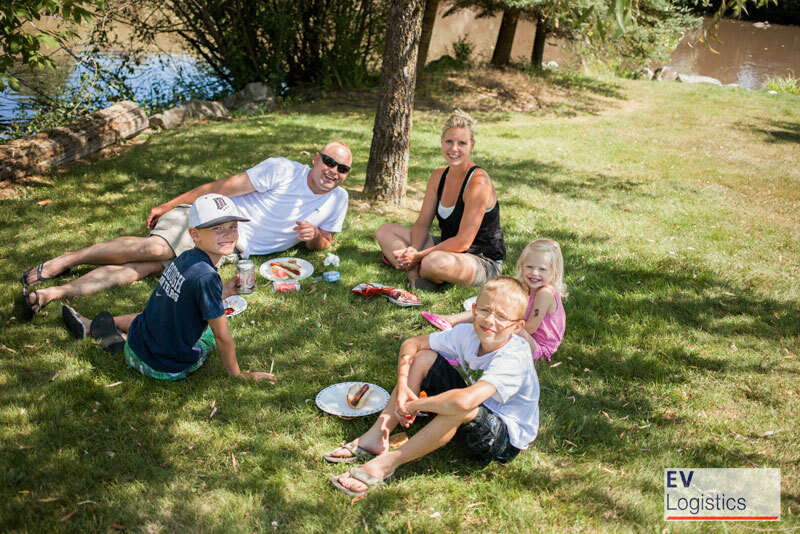 This is why we continue to strive offer opportunities for work-life balance for our employees and their families. 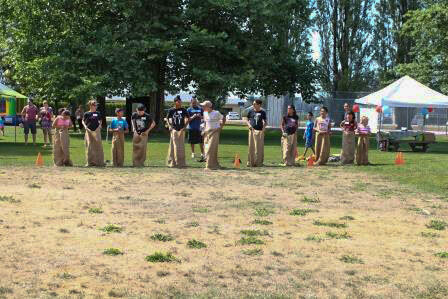 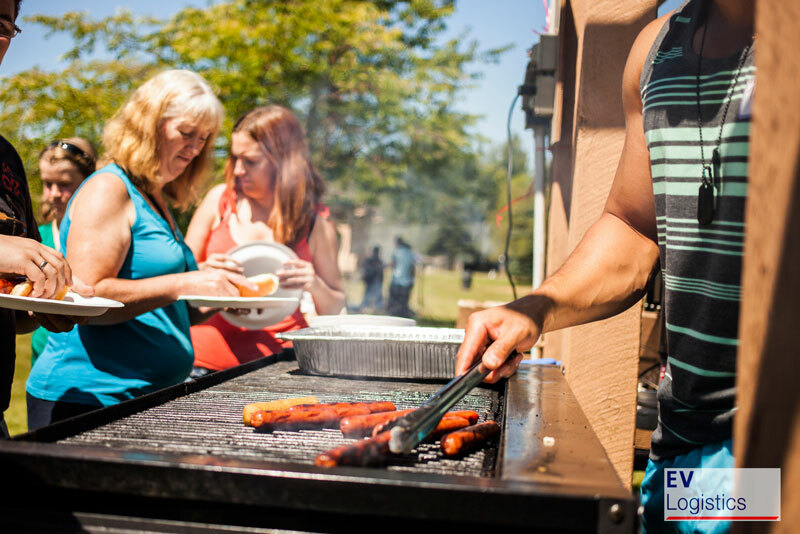 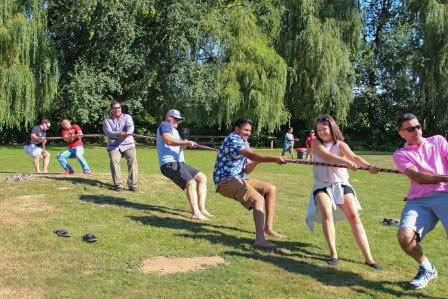 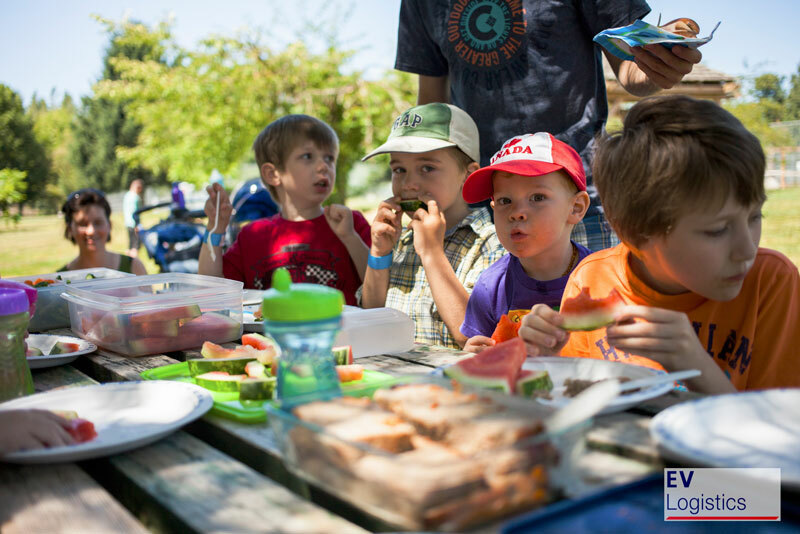 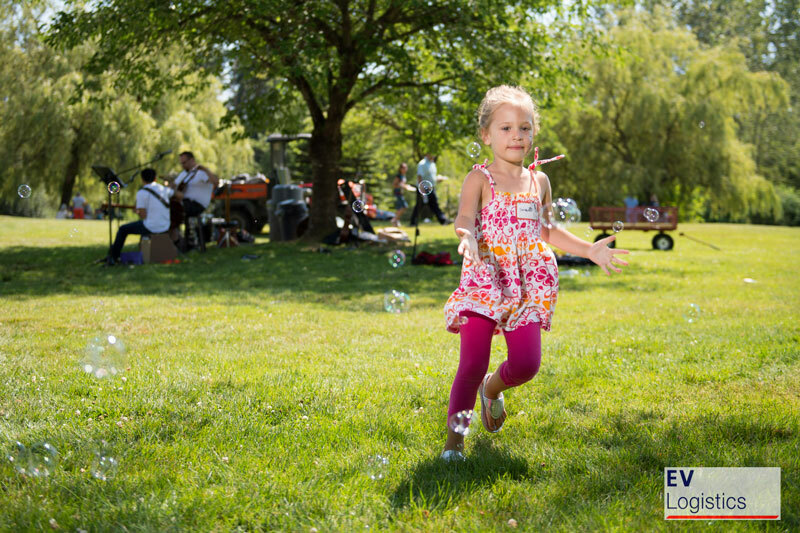 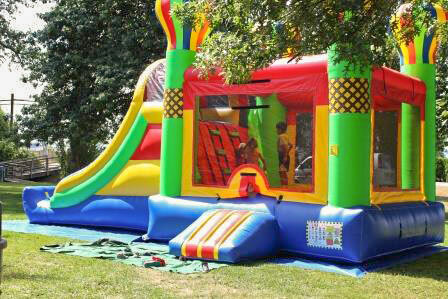 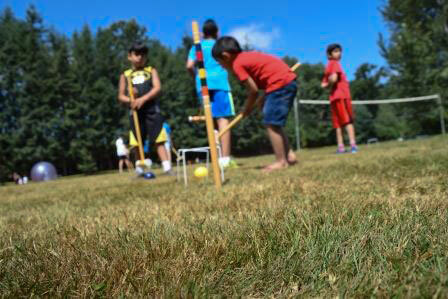 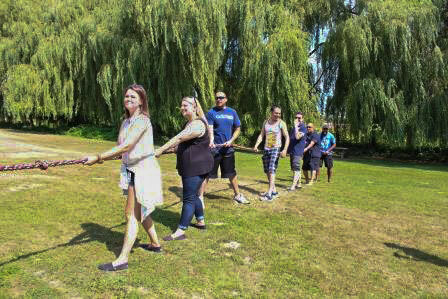 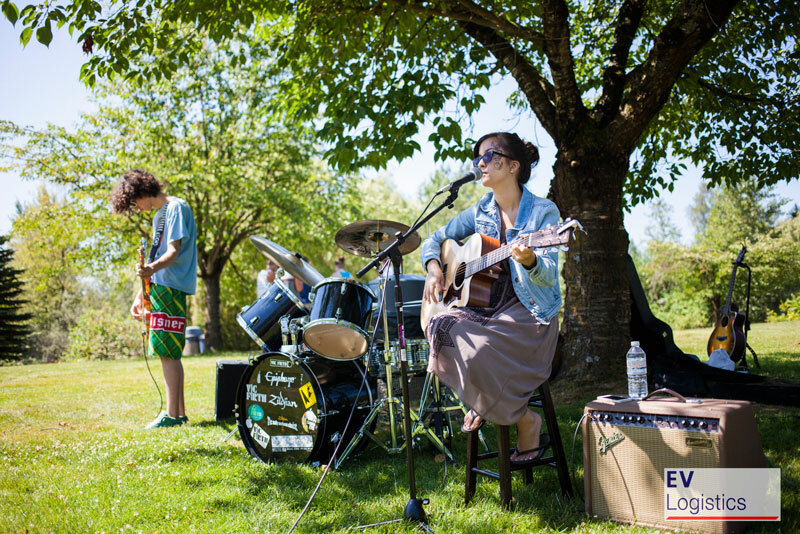 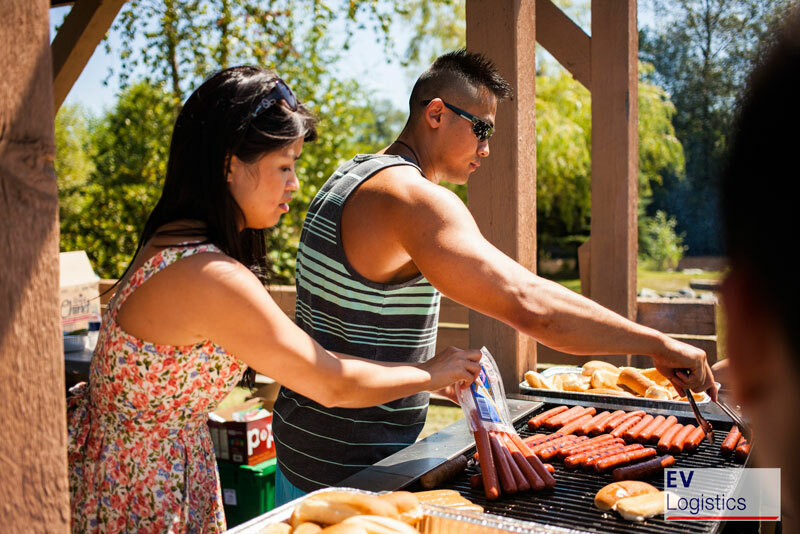 We do this through offering family focused events such as our popular Family Day BBQ’s and Fall Apple Barn visit. 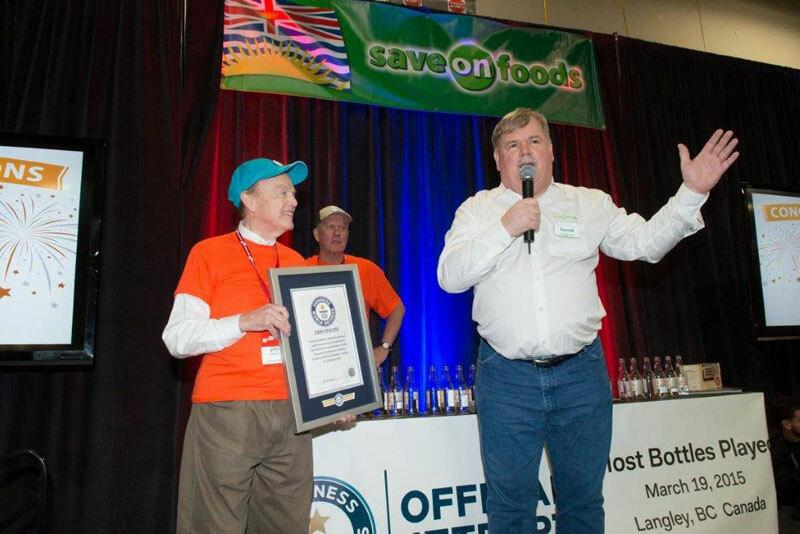 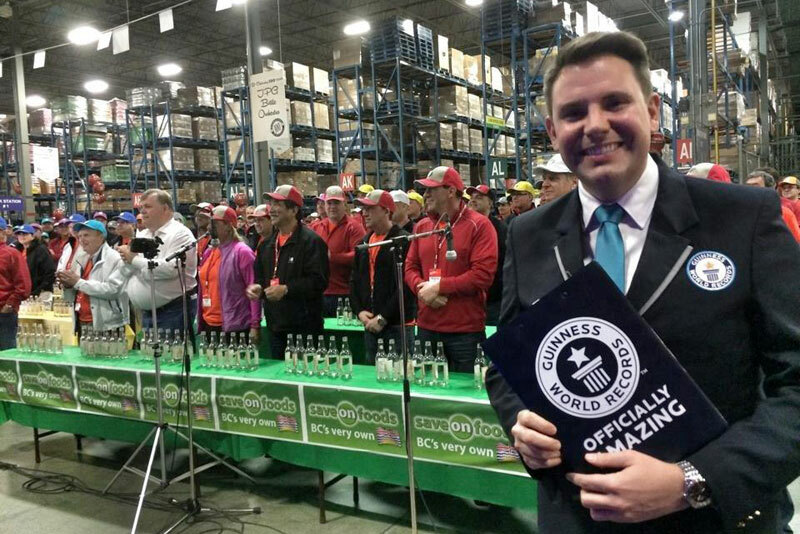 In 2015 we assisted with our client Overwaitea Food Group celebrate their 100th Birthday by having Jim Pattison and his partners by setting a Guinness World Record. 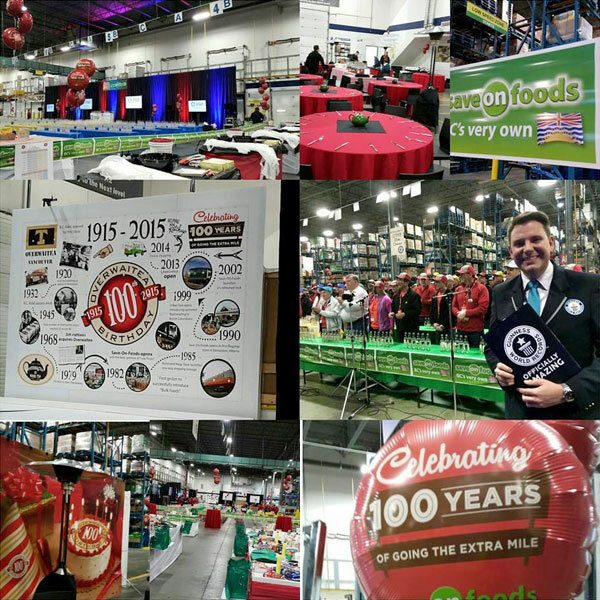 We are extremely proud to be part of this celebration and continual growth. 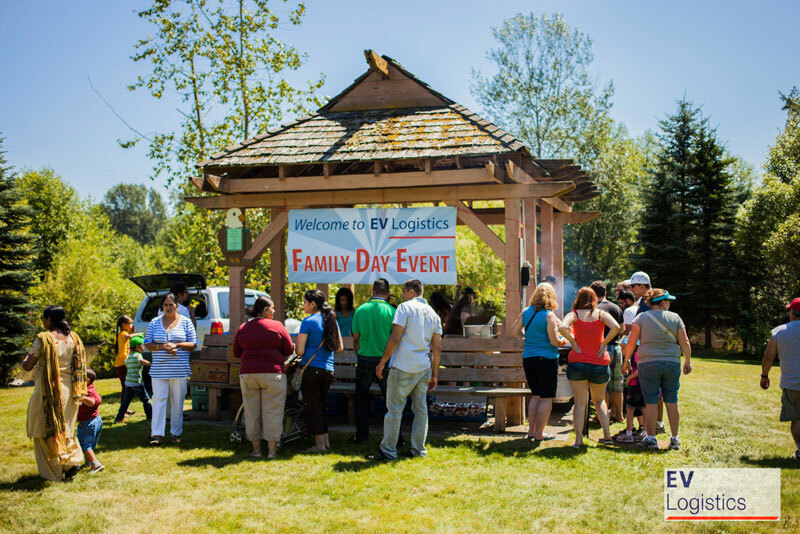 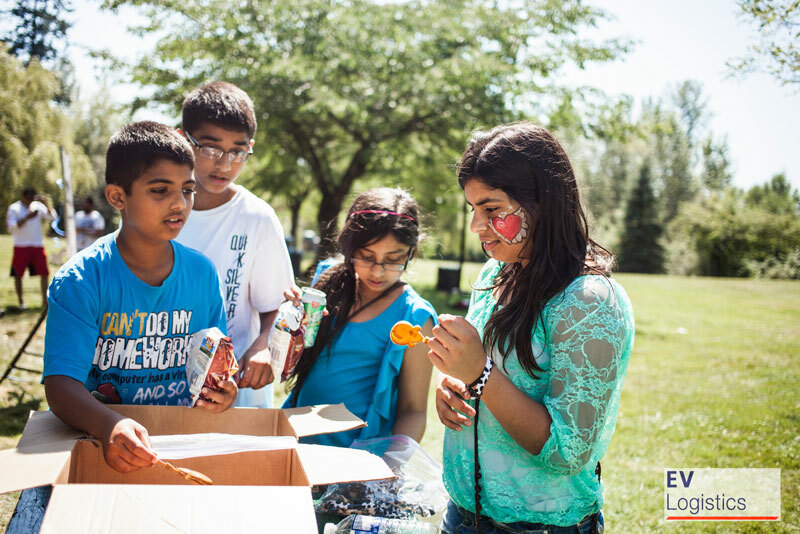 In the spring of 2015, EV hosted the Leaders in Action event at both facilities. 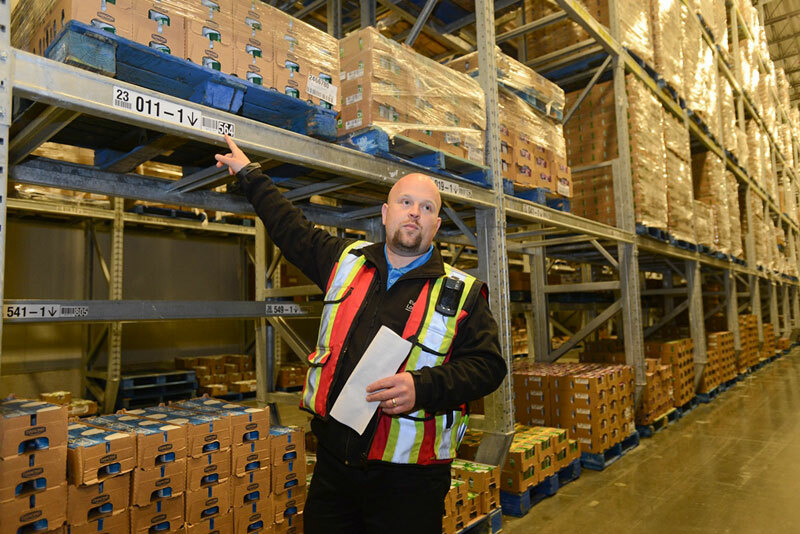 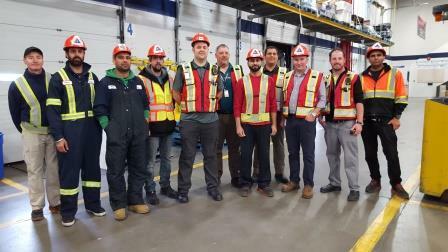 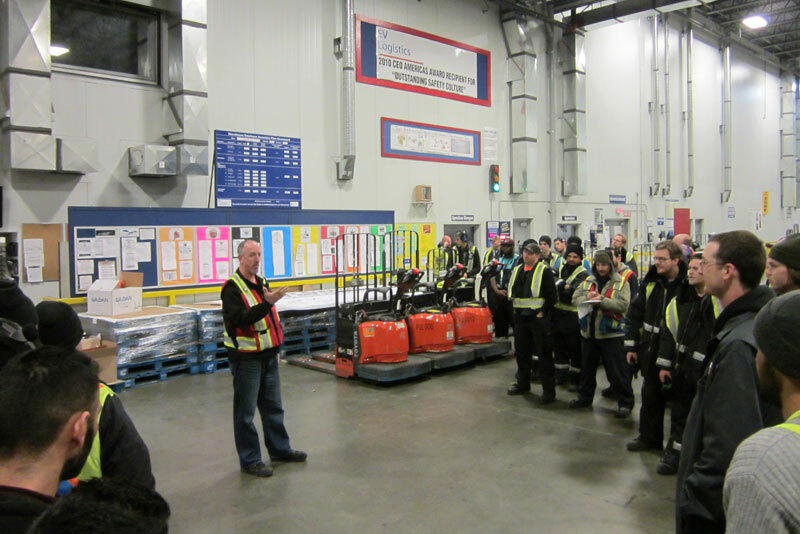 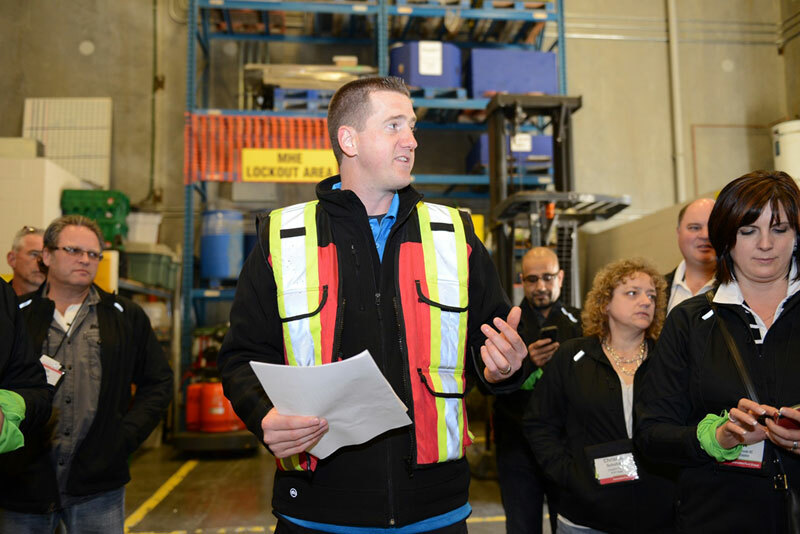 240 store managers and business leaders toured both sites; learning about the complexities of multi-temperature management of Perishable goods, what happens to all of the recycling and refuse the stores load on empty trailers, the mezzanine area of EVG, and how to pick an order. 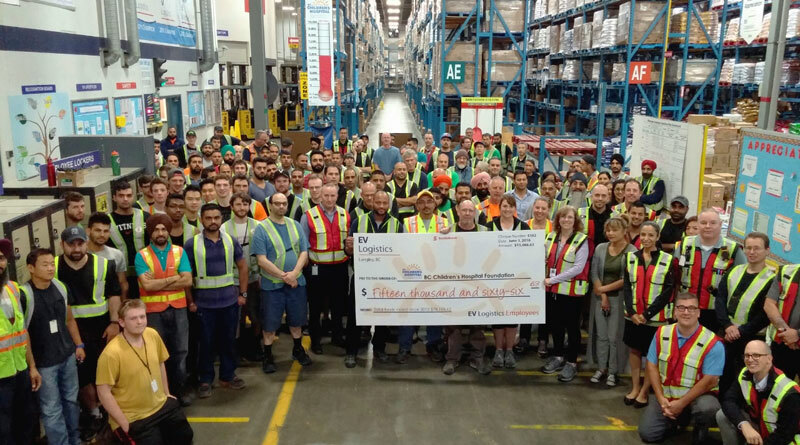 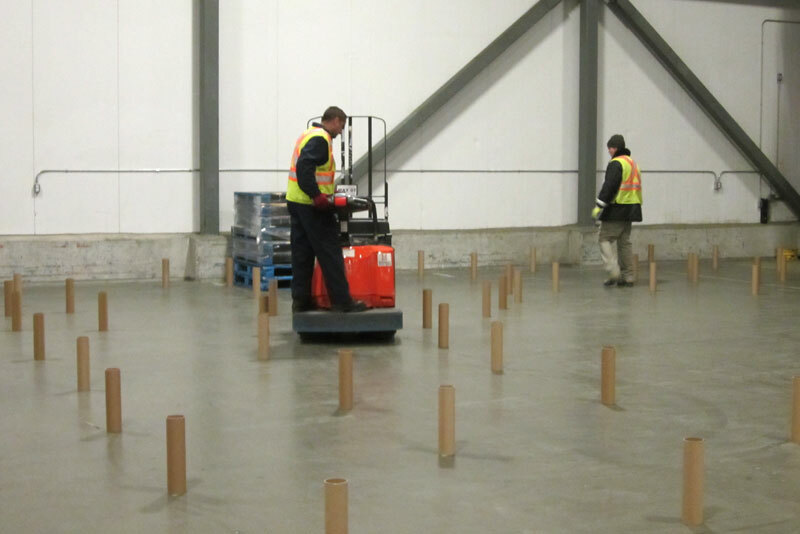 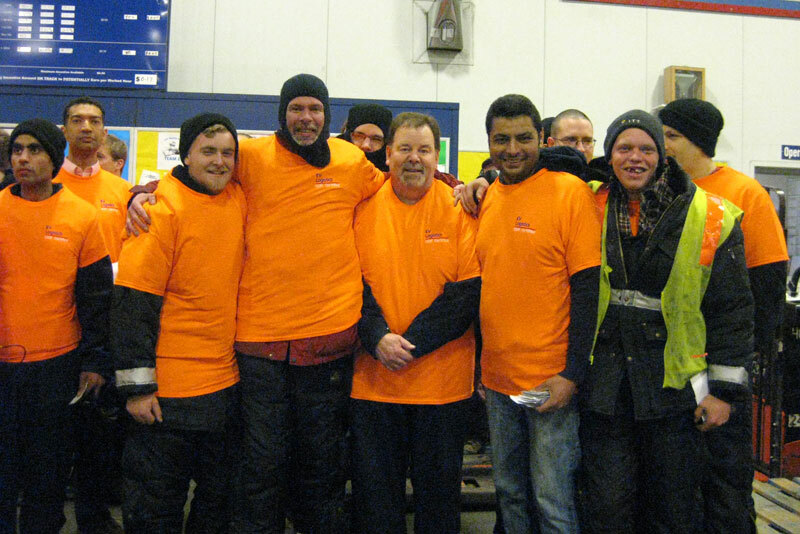 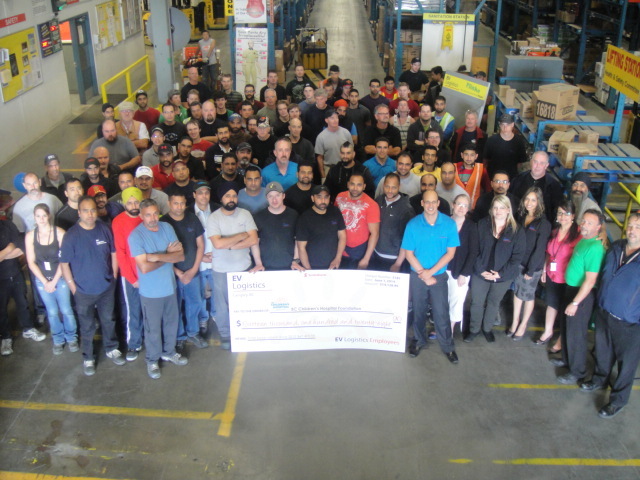 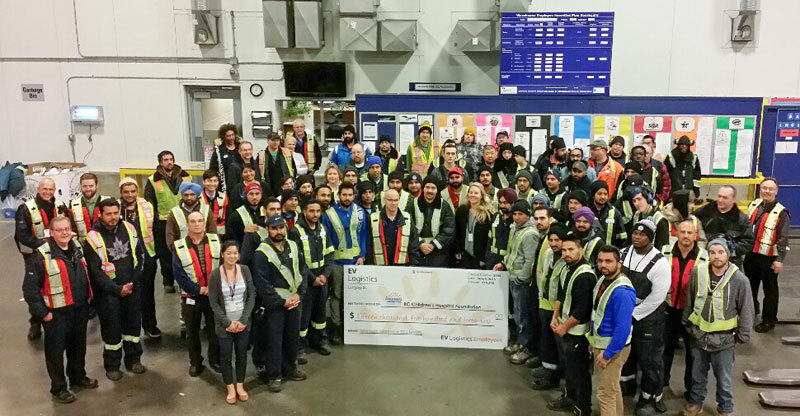 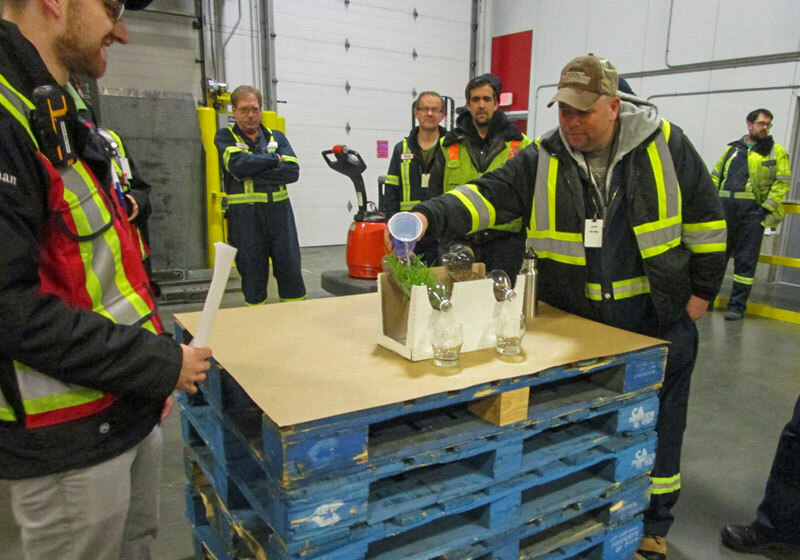 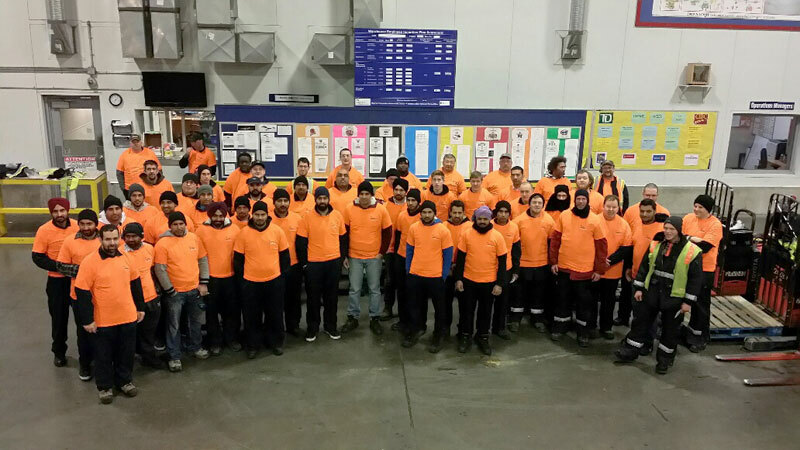 In the fall of 2014, forklift operators from across British Columbia came together to compete at the 16th BC Championship Forklift Rally held at the Cloverdale Agriplex. 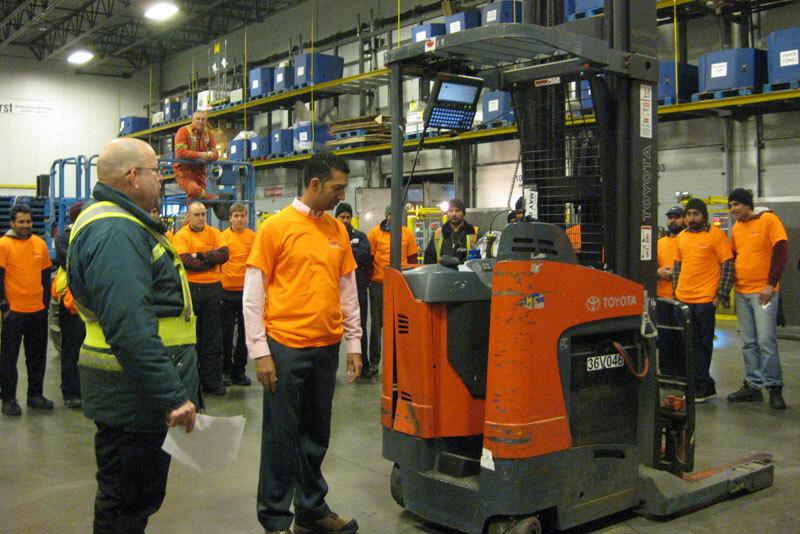 The competition had four divisions (Counterbalanced Electric, Reach Truck, Power Pallet Jack, Counterbalanced Propane). 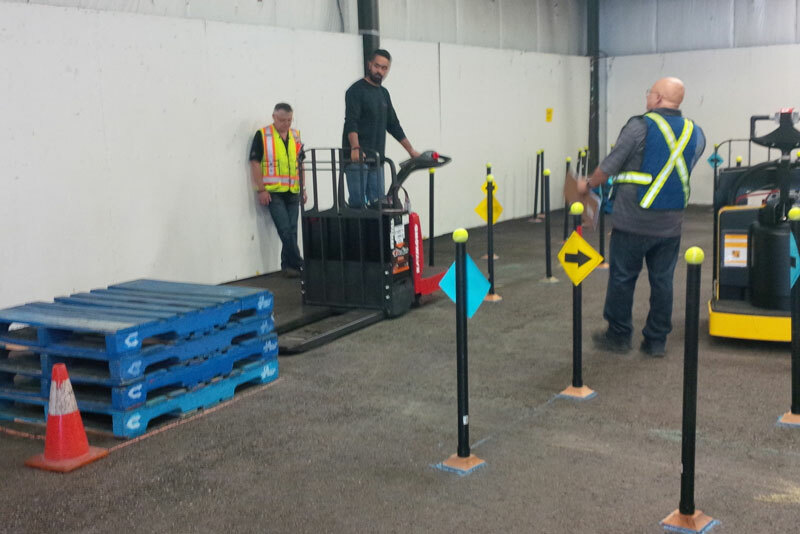 Competitors skills were tested by a precision driving course and their knowledge challenged with a written test based on WorkSafeBC Regulations. 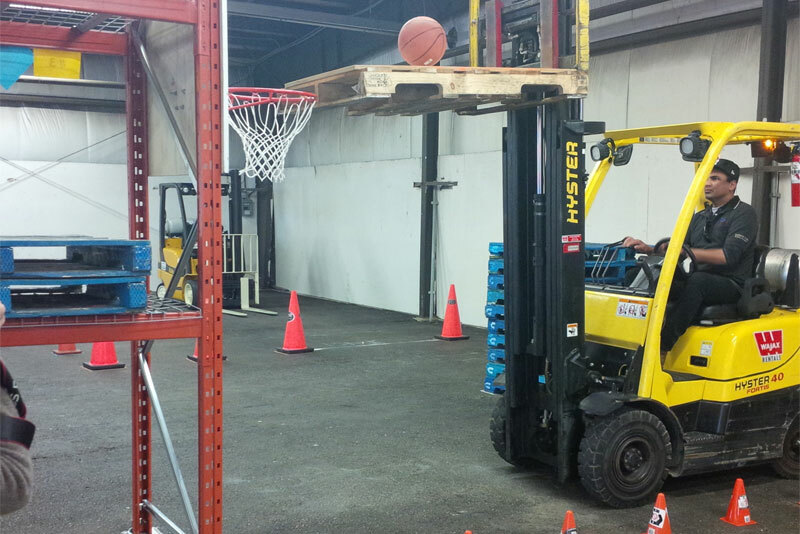 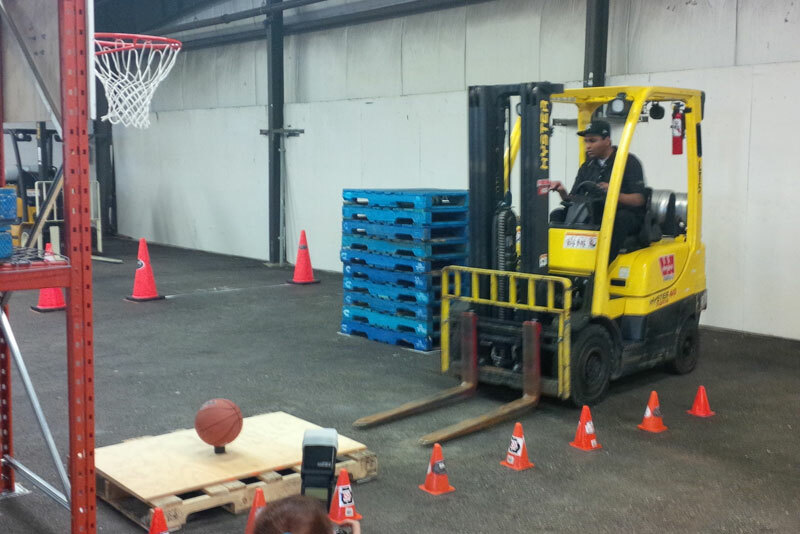 In addition, competitors were also able to have a little fun by trying their hand at Forklift Basketball, Bowling & Soccer! 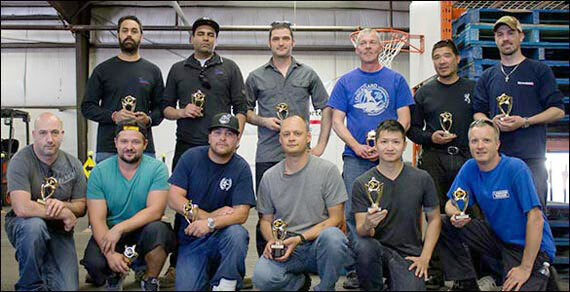 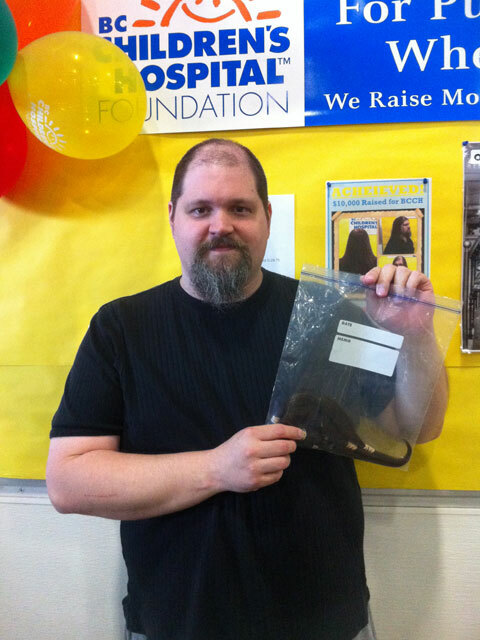 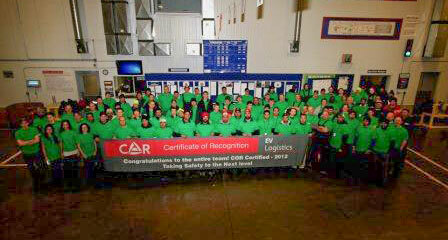 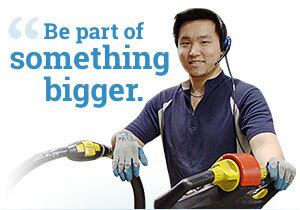 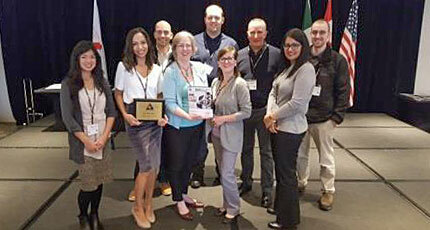 EV is proud that many of our employees won top prizes in the categories we competed in. 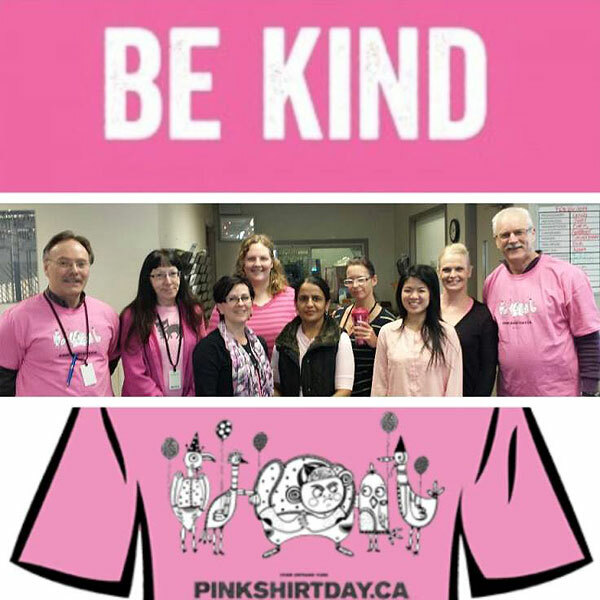 EV participated in the Anti-Bullying campaign, Pink Shirt Day. 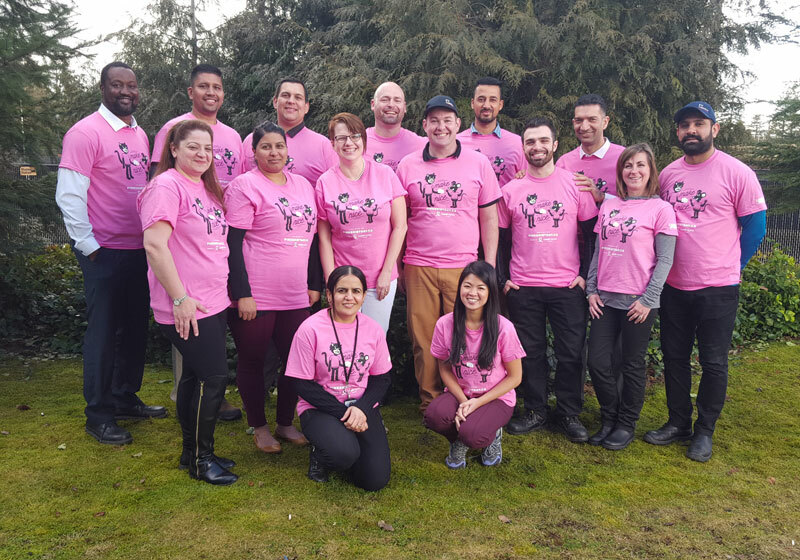 Employees were able to purchase pink shirts and show their support. 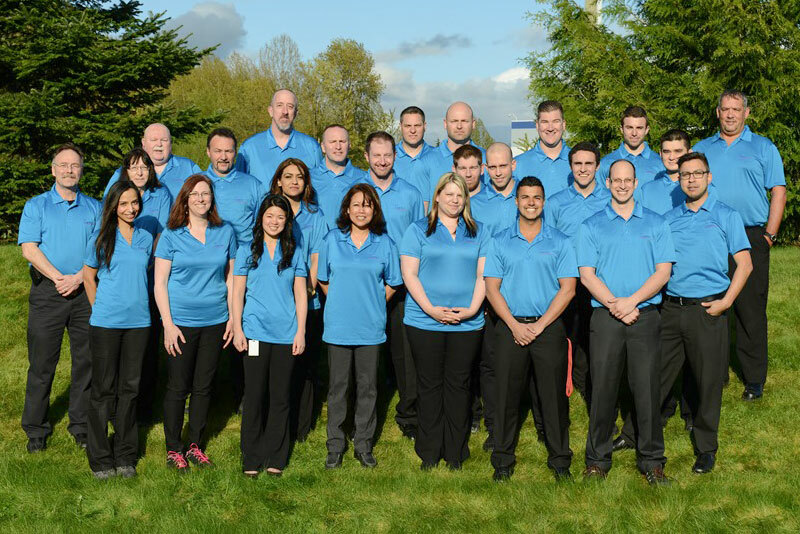 Inclusivity and respect are essential components of our culture here at EV.